Here's just a small sampling of lecture slides we discuss over the course of the semester. Merit goods are goods/services considered by policy-makers to benefit society (i.e., positive externalities). The implication is that cultural goods are under-consumed by the free market, because individuals consider only their private costs and benefits. 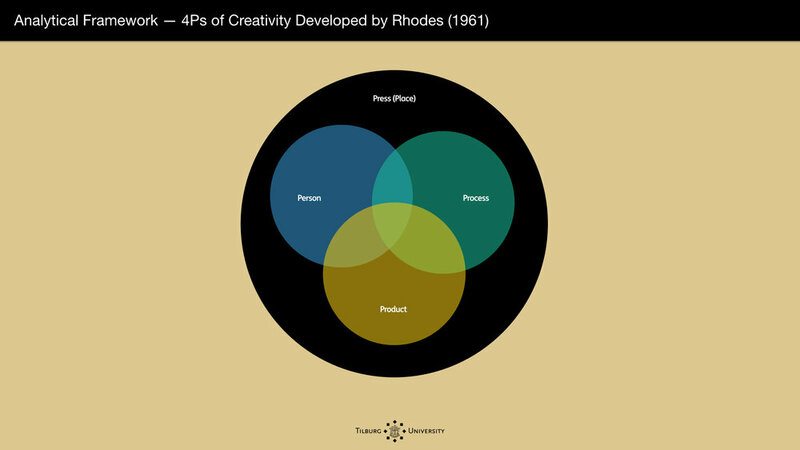 We examine various creative and cultural settings using an analytical framework introduced by Rhodes in 1961, which proposes investigating creativity by understanding person, process, product, and press (i.e., environment). Our course applies theoretical lenses to various cultural and creative phenomena. In one lecture, we examine how Ferran Adrià, world-renowned chef of elBulli, led teams to invent 1,846 novel dishes as well as develop new scientific techniques such as spherification (Calcium and Alginate solutions). 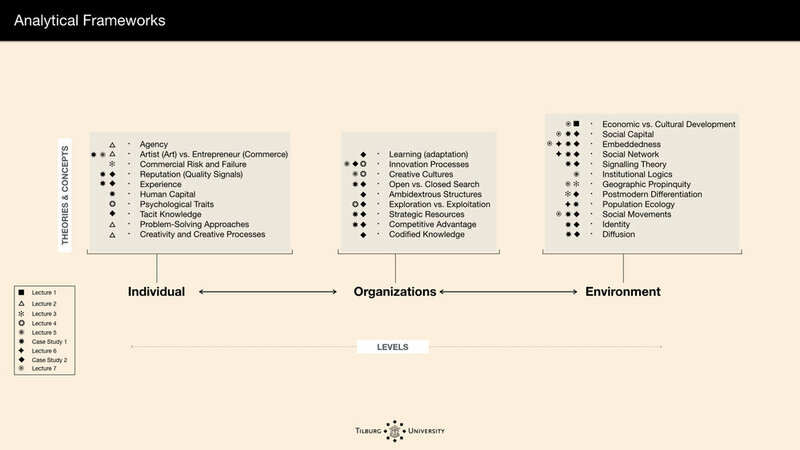 Our course introduces a number of theoretical lenses and concepts from psychology, sociology, economics, and organization theory at three levels of analysis ⎯⎯ individual, organization, and the social environment.